Mixer will be hosting Berkay Bugdanoglu’s third solo exhibition entitled Reclamation. The exhibition will be on view between the dates 24 September - 22 October at Mixer’s new space located in Sıraselviler. 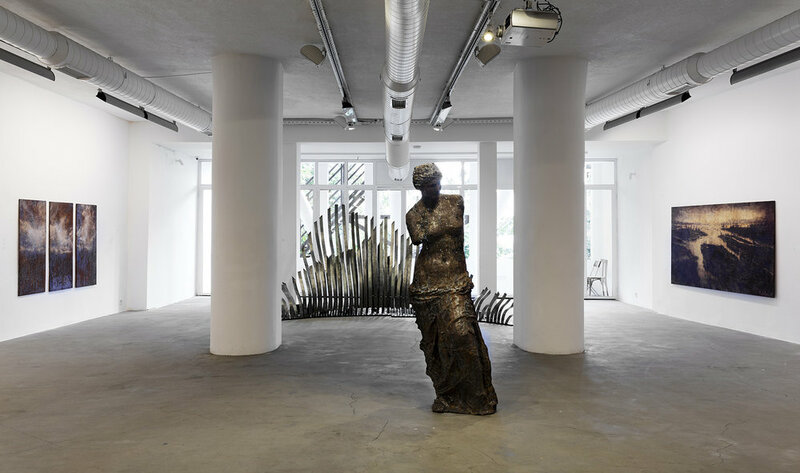 Reclamation consists of works on steel that we are familiar with from Buğdanoğlu’s previous shows, as well as introducing first interactive-sculpture works by the artist. 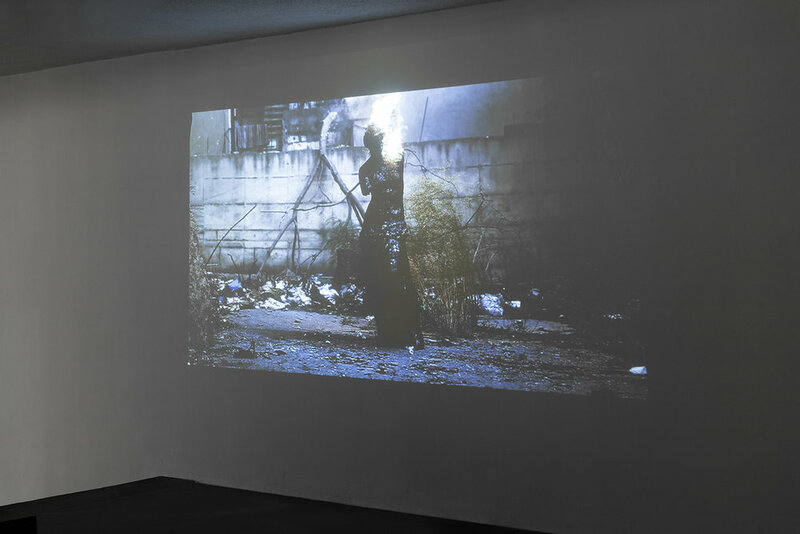 For his third solo show at Mixer, whilst remaining loyal to his own technique, Buğdanoğlu takes his practice a step further by transforming and integrating the materials that he uses to broaden the contextual frame of the exhibition. The artist uses ‘rust’ as a part of his technique and material, which is a material that symbolizes a sense of transformation as well as decay or destruction. 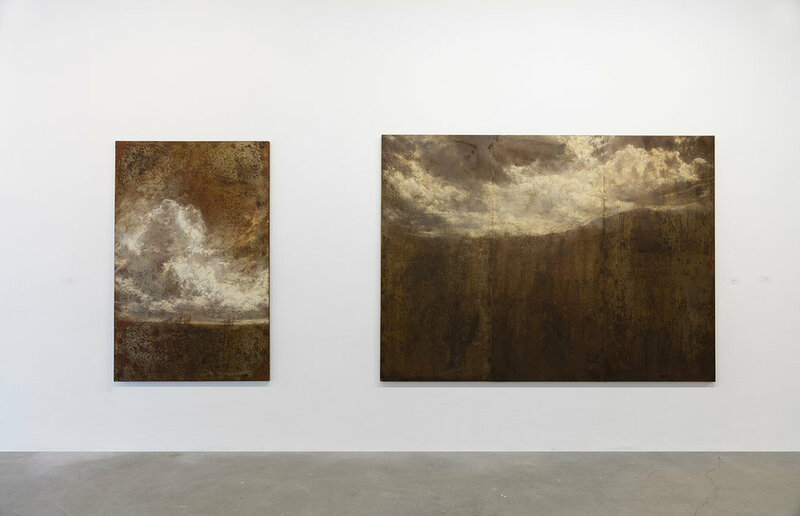 One can trace the analogy in the artist’s steel paintings, as well as his other works where artist pauses the destruction or the construction in each piece at different rates that creates a sense of motion throughout the exhibition. 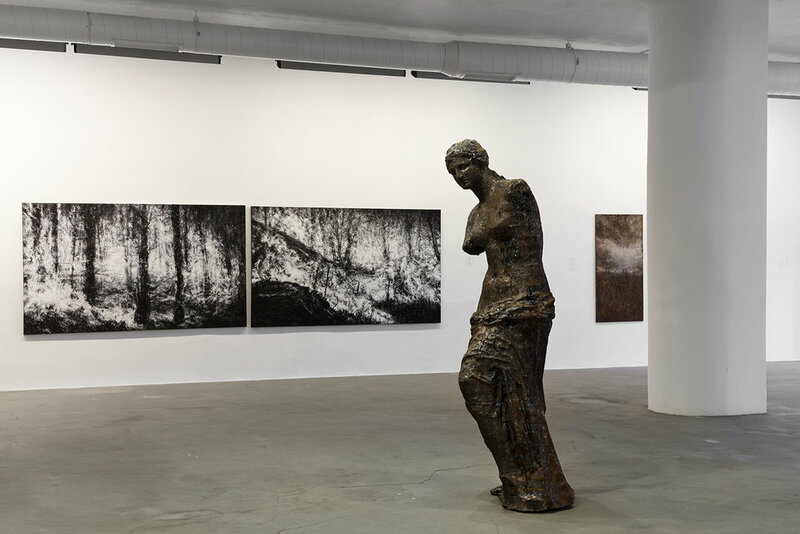 For example the sculptures each have their own devolution processes, depicting various states of existence, and the reclamation of order is dominated by the cycle of chaos and its temporality. The works linger in the line of being, yet-to-be, or used to be – all these perceptions remain slightly overlapping each other. Chaos, which has been a primary subject for the artist, taking on a more mature perspective, focuses on the rebirthing part of chaos. Time becomes crucial and the process stands out. We experience a state of existence, rather than viewing. In his new works, existential data is once again compiled and synthesized meticulously; and references to all perceptions such as touching or hearing are apparent. For instance, the first interactive work produced by the artist is in the form of an instrument-sculpture. It emphasizes on one of the most prominent factors in his works, which is transience. Actually, this interactive sculpture can be interpreted as a plant or a tree, like the sounds trees make, the sounds that appear from their sole existence and disperse through interaction with air. Similar to that, the lifespan of the sound waves dispersed from the sculpture that compiles feedback from the participants and the venue itself are observably short, underlining the temporality aspect further. This perspective also surfaces the temporary sense of aesthetics. The sound waves represent the temporality of everything created by the humankind in relation to the cosmic timeline, in which, all vanishes. This emphasis on temporality enables a similar feeling to the awe and the peculiar admiration one feels when one encounters a forest fire. With the same parallel feeling, almost an admiration of entropy, we are reminded of reclamation through deconstruction and recreation, where temporariness is what life consists of, the very state of transience itself. 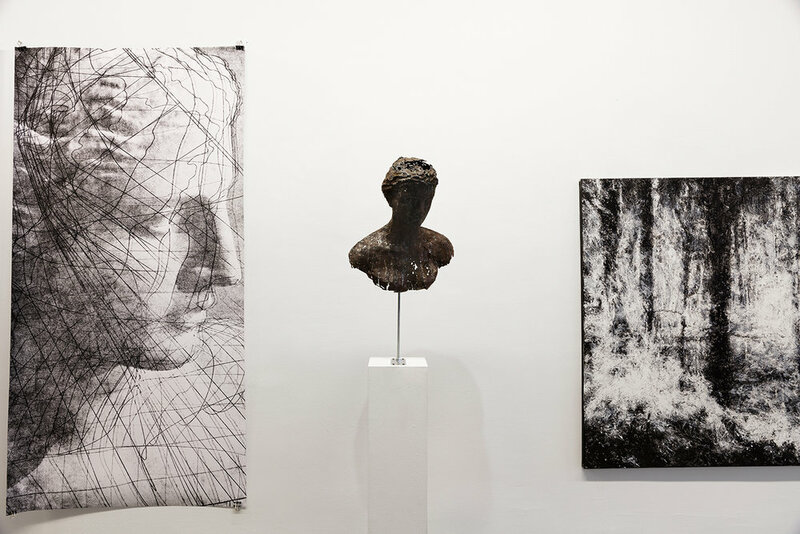 ‘qualis eram’, translating to ‘used to be’, is the name of the first sculpture work exhibited by the artist. The sculpture aesthetically resembles the ‘living stones’ in the Greek period, but it is created as an engineering wonder. The sculpture has quite an artificial sense of beauty. The artist destroys some parts of the sculpture in the production process. By doing that, he aims to investigate this artificial sense of beauty by restricting the sculpture itself within the aesthetics lifespan. We can find themes of destruction and transformation in the way he transforms the materials in his works, and even a kind of perceptual transition in ourselves, as the spectators. The reason why the works evoke such a feeling of deep and natural admiration is maybe because they reveal the delicate negotiations of ‘existence’ rather than strengthening sole aesthetic creation. The exhibition is more of an existential consensus as it erases and rewrites the traces of being, witnessing the balance between the dark (non-living) and the light (living), what is and what is not.